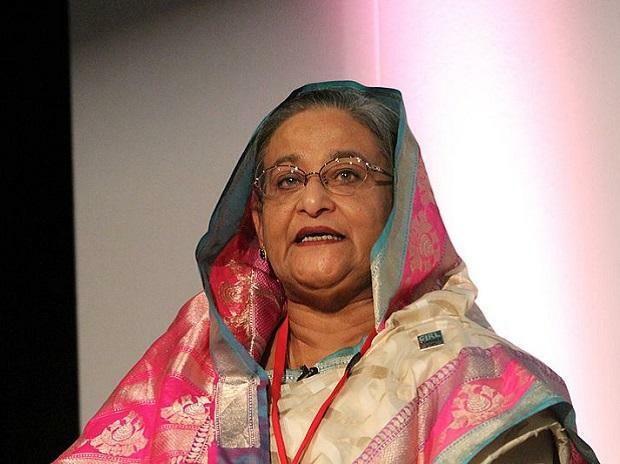 Bangladesh under Prime Minister Sheikh Hasina looks like a developing-world success story. Last year, its economy grew at close to eight percent a year, faster than its neighbor India’s. Its human development indicators, as Nobel Prize-winning economist Amartya Sen is fond of pointing out, are even better than its income level would indicate. Bangladesh is also one of the few countries in the developing world which has successfully wedded secularism to its national identity. And, in a truly extraordinary act that should shame many larger and richer countries, this enormously crowded nation — the most densely populated of all countries with a population greater than 10 million — has taken in at least 700,000 persecuted Rohingya refugees from Myanmar with a minimum of fuss or outrage. So, it's hardly surprising that Sheikh Hasina’s party won last week’s elections in Bangladesh. The scale of her victory, however, is literally unbelievable: Her Awami League won all but 10 of Bangladesh’s 298 constituencies. In her own seat of Gopalganj, the prime minister won by 229,539 votes to 123. No wonder her party has been accused of — to put it politely — “over-managing” the election. The polls were, after all, preceded by a long period in which political opponents were intimidated, jailed or exiled. The leader of the opposition Bangladesh National Party, Khaleda Zia, is in jail. Her son and heir apparent is in Britain and faces a life term if he returns to Bangladesh. While political violence has long been a feature of Bangladeshi politics — as in West Bengal, on the Indian side of the border —the past year has been particularly bloody. Worse, among the offenders have been the security forces, which seemed to have become an arm of Sheikh Hasina’s reelection campaign. The country has few remaining independent institutions that can serve as a check on this sort of blatant subversion of democracy. The judiciary in particular has been packed with Awami League sympathizers. The government has used a controversial new law to arrest journalists who have questioned the official narrative about the elections. Nevertheless, Facebook timelines have erupted with stories from Bangladeshis who were intimidated by Awami League men at voting centers, or from those who discovered that their votes had already been cast for them. Seen from India, the way the election has played out is hugely disappointing. For one, Bangladesh has long been held up here as something of a role model in terms of governance: a country that has, unlike India, developed a thriving export sector; a country that, in spite of being resource-poor, has managed to empower its people and especially its women; a country in which the government machinery has displayed a certain humility and pragmatism when it comes to trying and testing various grassroots development solutions. And Sheikh Hasina herself, with her uncompromising views on political Islamism and her commitment to the values of Bengali — and not Muslim — identity on which Bangladesh was built, is the kind of partner that India would like to have. Certainly, Khaleda Zia’s tenure in the 2000s is remembered in New Delhi with a shudder, as Bangladesh seemed set to take the turn towards radicalism that has blighted Pakistan’s fortunes, and become an exporter of terrorism to the neighborhood. But, the damage done by the government's electoral "management" goes far beyond the bilateral relationship with India. Few governments anywhere will celebrate Sheikh Hasina's re-election under these terms. An illiberal democracy is no less dangerous in the long term just because it happens to be run by a liberal. The simple truth is that Sheikh Hasina will not rule forever. Nobody can. And if her turn towards authoritarianism also tarnishes, in Bangladeshis’ minds, the Awami League’s principles of secular nationalism and inclusion, then the reaction will be awful indeed — and the implications for the stability of South and Southeast Asia will be even worse. Bangladesh’s prime minister should think of this five-year term as her last and begin to plan for what happens when she eventually turns over power to the opposition, as all democratic leaders must in time. She will have to begin by rebuilding the institutions that her administration has destroyed.